A few weeks before the clubhouse was completed, a committee of officers, club members, and prominent members of the community met over lunch to discuss a club motto. In his book, Dr. Murphy writes that suggestions were discarded as being too long or complex, having too much of a military reference, or being too suggestive of the Japanese majority in the battalion. Although he does not mention this, it was his suggestion of “For Continuing Service” was unanimously adopted by those in attendance. In the late 1940s, the idea of a creating an allocation of blood at the blood bank for Club 100 members and their immediate families was implemented. Donations of blood were made to the Honolulu Blood Bank, and the amount was added to the 100th Reserve. During the first five years, a total of 274 pints was utilized and represented a savings of almost $12,000 for those members. The Mutual Assistance committee expanded this program to members who lived on the islands of Hawaii, Maui, Kauai, and Lanai. A fund of $1,000 was established in 1947 to provide temporary financial assistance to members in the form of a small loan for emergencies or a pressing need for immediate cash. Established as a revolving fund, an interest free loan of $100 would be granted for six months, to be repaid in installments or in total at the end of the loan period. Most loans were needed for child births or medical reasons. Club 100 participated in fund drives for community organizations such as the Honolulu Community Chest, American Red Cross, and the Kuakini Hospital Building Fund. The chapter members in southern California were also active in their communities. During the Korean War, gift packages were packed by club members and sent to soldiers from Hawaii who were in combat. In the 1950s, the city of Lacrosse, Wisconsin suffered extensive damages because of flooding. Club members did not forget the hospitality its citizens had shown the 100th Battalion when it was stationed at Camp McCoy and sent a donation for flood relief. Benefit concerts were held for a children’s orphanage in Japan. 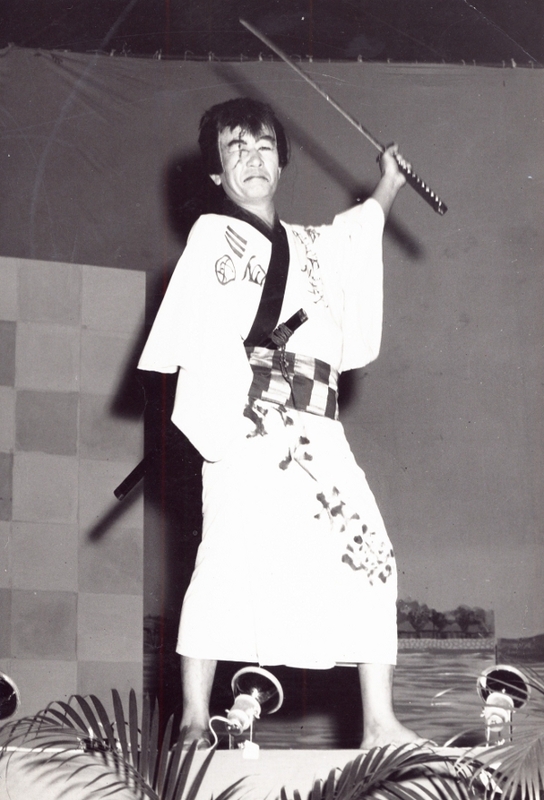 While concerts featuring Misori Hibari were fundraisers for the Club’s building fund, they also gave the residents of Hawaii who had been born in Japan the opportunity to hear this popular young Japanese singer.